SARAJEVO, BOSNIA AND HERZEGOVINA. 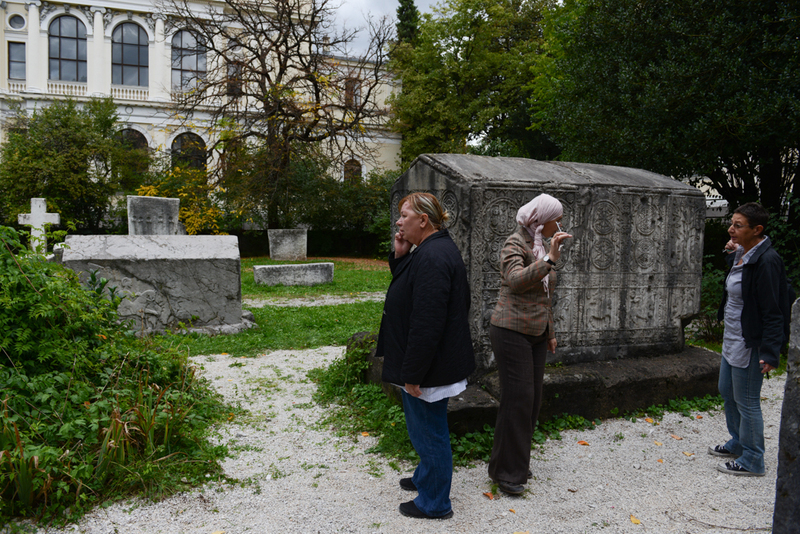 (At right) Andrea Dautovic, 57, a museum adviser and librarian in charge of the exchange of publications, retrieves the key to the ethnographic section of the shuddered Bosnian National Museum from a colleague in the courtyard garden on October 15, 2014. The museum closed its doors on October 4, 2012 after employees had worked one year without salaries, many of whom continue to work without salaries to this day; the Bosnian National Museum is short the minimum 700,000-800,000 Euro it would need to keep its doors open.